"There was a heaviness about him," says Geier. "I could tell he wasn’t in the mood to chat, so I pretty much left him alone except to pass him the mustard when he pulled an onion and a heel of bread out of his pocket. A couple weeks later, he came by the bar and gave me a flyer to a show he was doing at a flea market. The sound system was crap, but his voice was something else. I’ve been in my share of bands and wasn’t expecting much from a clown singing karaoke from a boombox. But I’ll be damned if his singing didn’t get me all choked up." It was Halloween 2013 when Puddles then teamed up with Scott Bradlee’s Postmodern Jukebox to record an epic version of Lorde’s hit song "Royals," which instantly went viral on YouTube, having received over 22 million views so far. The "sad clown with the golden voice" captivated audiences and media from around the world, building a fan base of more than 297,000 on Facebook. 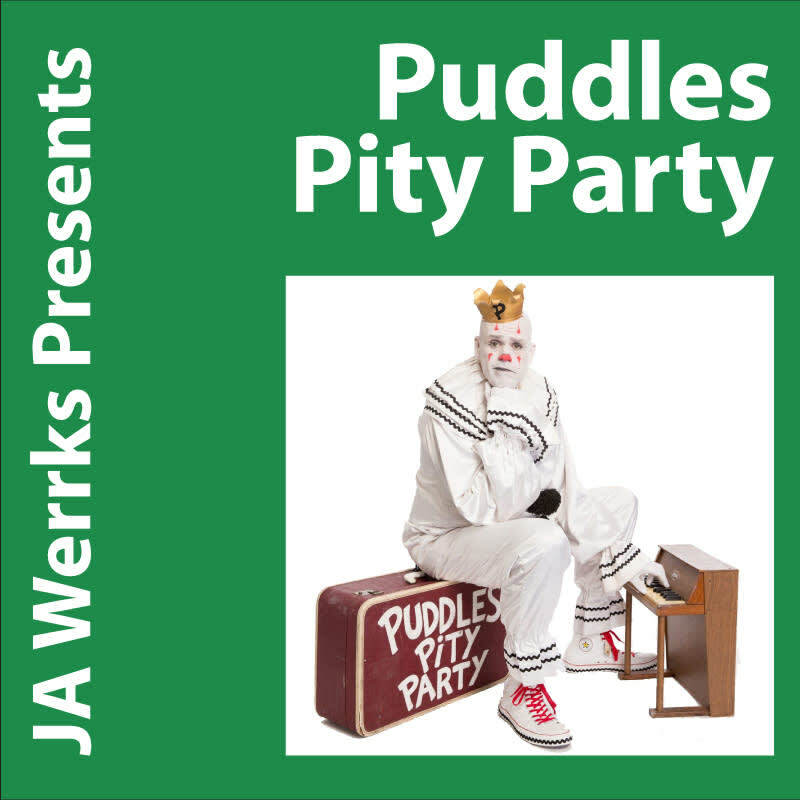 Puddles has since performed all over the planet, garnering rave reviews at festivals like Edinburgh Fringe, Adelaide Fringe, Perth Fringe, Melbourne International Comedy Fest and Belgium’s Gent Fest. He was a feature performer in La Soiree’s 2014 Southbank show in London, which won the Olivier Award. He was handpicked by Neil Patrick Harris to perform Just for Laugh’s "Circus Awesomeus," gala filmed for HBO Canada. And Jack Black selected Puddles to perform at the 2015 Festival Supreme. "Puddles gives an emotive performance that resonates with all kinds of folks," says Geier. "The crowd really responds to him. There’s something about a giant sad singing clown that comforts us, let’s us know it’s ok to feel, to show our feelings. It’s a sad and beautiful world, and we’re all in it together, even when we’re totally alone."